Named for a similar axe excavated in Norway, the Langeid Broad Axe Head has a very historical look, hand forged from steel and tempered for durability. The axe head shape has a wide cutting edge and a nearly symmetrical toe and heel. The surface has natural indentions that give an antique look to the piece, so it easily fits into many historical settings. Add your own wooden haft to create this ancient Viking axe. Because this Dane axe blade is handcrafted, it has as a rugged and weathered look that makes it well-suited for historical environments. This look may vary slightly from axe head to axe head. 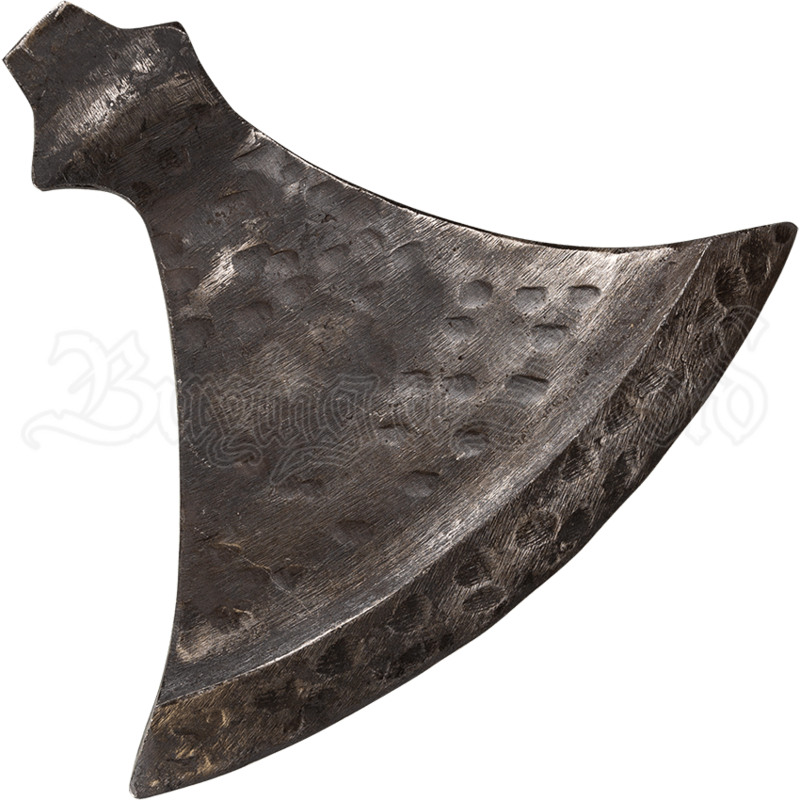 Wield the might and remember the history of ancient Viking warriors using this Norse axe head.